Home › Blog › Managed Hosting › Platform Check: Should I Pick Windows or Linux Hosting? Platform Check: Should I Pick Windows or Linux Hosting? As you’re building out your IT infrastructure, one of your first questions is going to be “Linux or Windows?” Keep in mind, this isn’t really a question of preference, like “Ginger or Mary Ann?” Ultimately, your choice is going to be based on your preferred type of applications and your development environment. Linux will be a better choice for web servers, while Windows is a more common OS for work-group file servers and desktops. So, which platform are you going to pick? Use the tips below to get a quick overview and decide which platform is best for you. You should probably opt for Windows-based hosting if you’ve developed your server applications with an ASP.NET/.NET programming language like Visual Basic, J# or C#. Microsoft developed these languages, and designed them to create applications that are native to Windows. You’re developing applications with PHP, Perl, Ruby or Python. You’re using an open-source application running on Apache or Nginx web servers (e.g., WordPress, Magento or Drupal). Linux is free, but it’s “free.” That is, it doesn’t cost anything to set up an open source application, but often you’ll end up shelling out a lot of money to launch, maintain and solve problems with your Linux-based operating system. One of the most cost-effective solutions, long-term, is to hire a Linux hosting specialist to handle all your issues and potential programming problems. If you try to handle the system yourself, you’ll end up wasting more time and money than necessary. 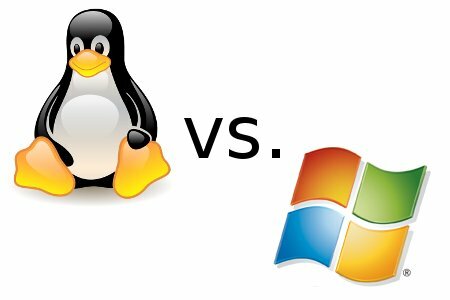 Security for Windows vs. Linux: What’s safer? You’ve probably heard that Linux is “a more secure operating system” than Windows. (Since Windows is more popular on desktop computers, it’s more vulnerable to hackers, or so the argument goes.) In reality, the security of either platform depends largely on the degree of security provider by your hosting company. A “basic” hosting plan with limited security and tech support will introduce all sorts of vulnerabilities – but a fully-managed, dedicated hosting plan should offer comprehensive firewalls, IDS systems and 24/7 monitoring. No matter which platform you choose, you should be safe. For more information on open-source platforms like Magento – and ways to speed up your e-commerce platform – read our articles here.